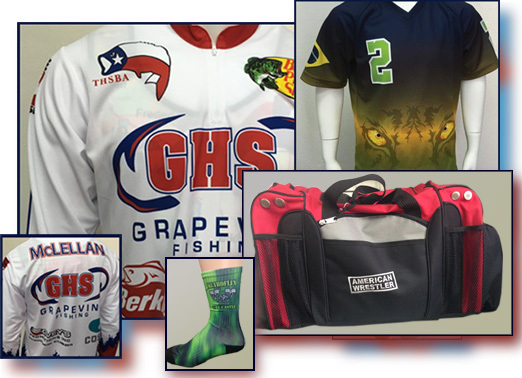 Clever Items customizes your team uniforms and numbering to your specifications. Our excellent graphic designers will customize your colors, artwork and design, lettering and numbering through professional software and processes so your team will stand out from head to toe! We use high quality material produced by Adidas, Nike, Gildon, Sport Tex, Cliff Keen, Brute & Kennedy Cleaning Supplies and many other top brands! 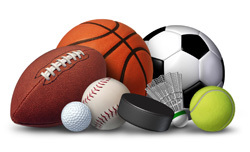 Whichever sport you are training, conditioning or playing for, let Clever Items customize your winning style with our top of the line graphics department and screenprinting team for your custom t-shirts, uniforms, sports bags and more in the Arlington, Texas area! 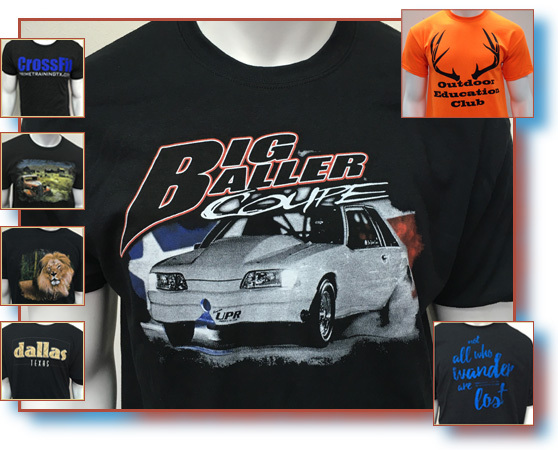 Clever Items also provides custom services for screen printed t-shirts and memorabilia for your church events, business networking, summer camps and team themes. 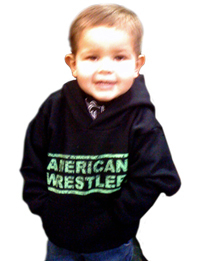 We also design and produce creative team and lifestyle products, including t-shirts, sweatshirts, beanies and wrestling equipment sold under the American Wrestler brand name. If you have a particular brand you prefer, let us know and we will work with your sporting gear preferences, whether you are needing tote bags, backpacks, wristbands, beanies or hoodies and jackets, Clever Items can accomodate your fundraising and networking needs! Clever Items owns high-quality in-house equipment to customize your screenprinting needs in the Dallas/Fort Worth Area. We use multiple processes, depending on the order. Our high capacity equipment allows us to print from one to thousands of garments at a time with custom artwork. We also have the capacity and ability to create embroidered shirts, caps and bags, as well as sublimation. 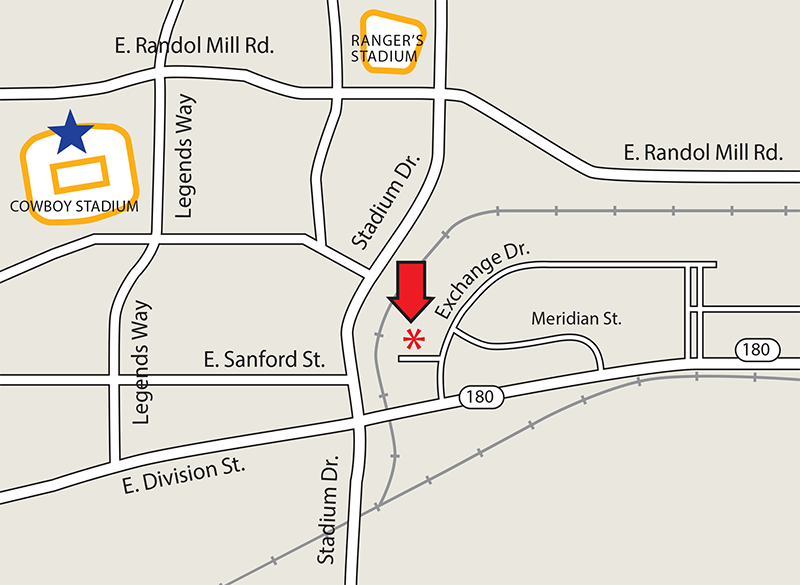 Clever Items is family owned and operated in Arlington, Texas. We provide the personal touch with excellent turn-around time, providing you with excellent customer service! 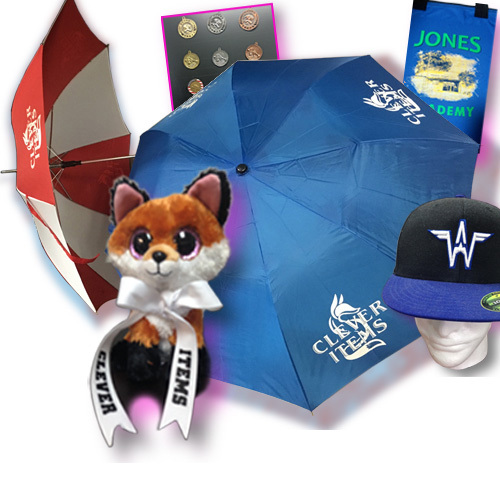 Whether you are preparing for an exhibit booth at a golf tournament, a church fundraiser, a bridal or baby shower, or your next chamber event, Clever Items is here to help you succeed in a successful event! Call Clever Items today at 817-330-6069 to discuss customized screenprinting for your high school or college athletic and sporting events in Arlington, Texas and the surrounding Dallas/Fort Worth area!